Palestine was granted full membership in the Vienna Convention for the Protection of the Ozone Layer and the Montreal Protocol on Substances that Deplete the Ozone Layer, under the Vienna Convention. 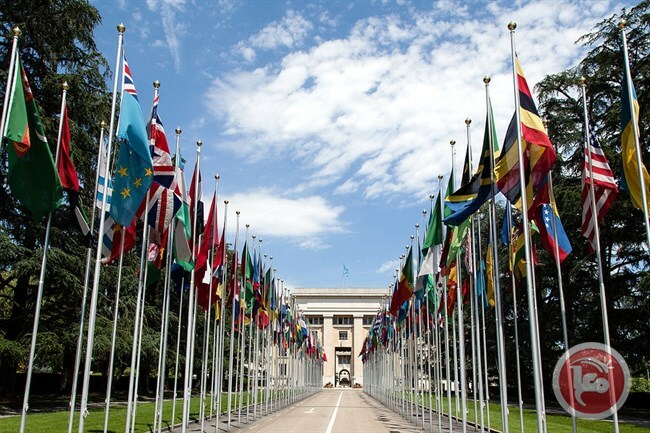 The Palestinian Environment Quality Authority announced, on Thursday, that the approval of the agreement comes after Palestine’s accession to the United Nations agency on 18 March 2019. The Authority said, in a statement, that it is prepared to follow on the obligations of joining the organization on the legal and technical levels in the State of Palestine and that it will work with the United Nations Environment Program (UNEP) to create a national ozone unit responsible for following up on all projects and the obligations set by the Convention. It will also develop a national plan to gradually get rid of the hydro-chlorofluorocarbons material through the hydro-chlorofluorocarbons Phase Out Management Plan (HPMP) and to look for alternative material. Prime Minister Benjamin Netanyahu pledged Saturday to annex Jewish settlements in the West Bank if re-elected, a dramatic policy shift apparently aimed at rallying his nationalist base in the final stretch of the tight race. Netanyahu has promoted Jewish settlement expansion in his four terms as prime minister, but until now refrained from presenting a detailed vision for the West Bank, seen by the Palestinians as the heartland of a future state. An Israeli annexation of large parts of the West Bank is bound to snuff out any last flicker of hope for an Israeli-Palestinian deal on the terms of a Palestinian state on lands Israel captured in 1967. A so-called two-state solution has long been the preferred option of most of the international community. However, intermittent U.S. mediation between Israelis and Palestinians ran aground after President Donald Trump recognized Jerusalem as Israel's capital early in his term. The Palestinians, who seek Israeli-annexed east Jerusalem as their capital, suspended contact with the U.S.
More recently, Trump recognized Israeli sovereignty over the Golan Heights, a plateau Israel captured from Syria in 1967. The move was viewed in Israel as a political gift by Trump to Netanyahu who is being challenged by former military chief Benny Gantz. The U.S. State Department declined to comment on Netanyahu's statement. On Saturday, Netanyahu gave an interview to Israel's Channel 12 TV at the top of the prime-time newscast. Netanyahu portrayed the U.S. policy shifts on Jerusalem and the Golan Heights as his achievements, saying he had managed to persuade Trump to take these steps. 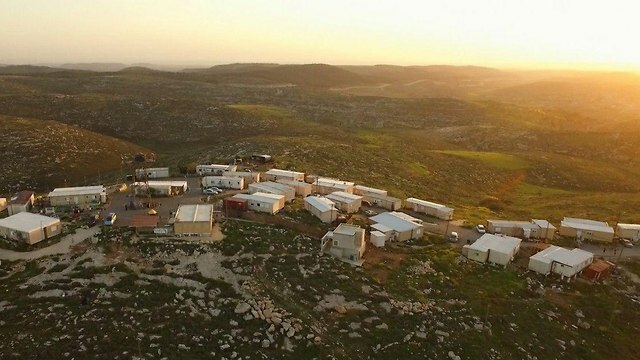 Netanyahu pledged that he would not dismantle a single Jewish settlement and that Israel would retain control of the territory west of the Jordan River -- the West Bank. More than 600,000 Israelis now live on war-won lands, two-thirds in the West Bank. The interviewer asked why he hadn't annexed some of the larger settlements during his current term. "The question you are asking is an interesting question, whether we will move to the next stage and the answer is yes," he said, adding that the next term in office would be fateful. "We will move to the next stage, the imposing of Israeli sovereignty." "I will impose sovereignty, but I will not distinguish between settlement blocs and isolated settlements," he said. "From my perspective, any point of settlement is Israeli, and we have responsibility, as the Israeli government. I will not uproot anyone, and I will not transfer sovereignty to the Palestinians." In any partition deal, the more isolated Jewish settlements would likely have to be uprooted to create a viable Palestinian state. Saeb Erekat, a veteran former Palestinian negotiator, said he held the international community, especially the Trump administration, responsible for Israel's policies. "Israel will continue to brazenly violate international law for as long as the international community will continue to reward Israel with impunity, particularly with the Trump administration's support and endorsement of Israel's violation of the national and human rights of the people of Palestine," he said in a statement. American singer and songwriter, Della Miles, expressed her support for Palestine and its people in response to the recent Israeli escalation in the Gaza Strip and US President Donald Trump’s decision to recognize to the occupied Golan Heights as Israeli territory, on Tuesday. The Secretary of the National Work Committee in the besieged Gaza Strip, Mahmoud al-Zeq, said on Tuesday that the only solution for Gaza’s crises, especially after the “We want to live” youth movement, is for the Hamas movement to step down. He added that the only reason and “engine” of the “We want to live” movement is the dark reality that the people of the Gaza Strip live. “No bullets, batons or cells could suppress the cries of the hungry;” al-Zeq said, adding that Gazans are demanding their basic right of living in dignity. Al-Zeq stressed that the issue is not in the movement but in not having solutions for the “tragic conditions” in the Gaza Strip. Hundreds of Palestinians from the besieged Gaza Strip has been protesting, for the past week, in demand for better living and economic conditions. 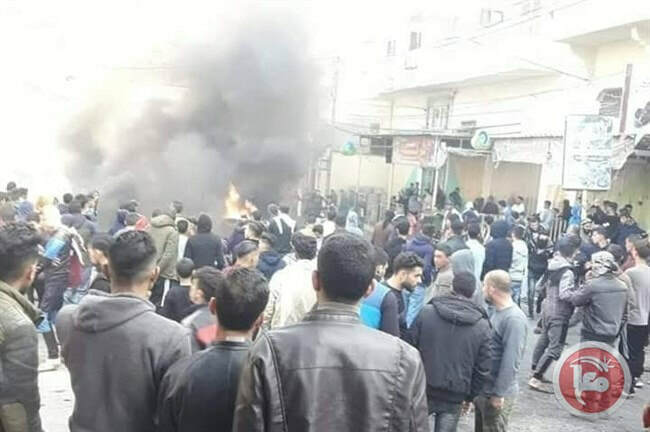 However, the Hamas movement raided several homes of activists, on Sunday morning, and arrested dozens of Palestinians, who took part in mass protests against the rise in taxes. The United Nations Special Coordinator for the Middle East Peace Process, Nikolay Mladenov, had expressed his concern, on Sunday, over Hamas’ arrests and treatment of Palestinian protesters. The Palestinian Ministry of Foreign Affairs and Expatriates declared, on Saturday, that through the Palestinian embassy in Australia's contact with the Ministry of Foreign Affairs in New Zealand, although not officially, that six Palestinians were killed and six others were injured in the mass shooting targeting two mosques in Christchurch City, in New Zealand, on Friday, in which 49 people were killed. 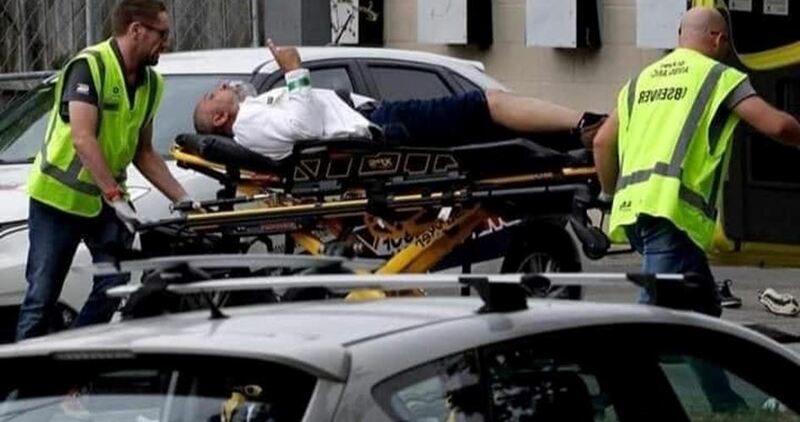 The ministry said in a statement that the New Zealand authorities still refuse to list the names of the victims, but would, however, inform their families as soon as they are identified regardless of their home country. According to the ministry, the following were identified among those killed as having Palestinian origins, Abed al-Fattah Qassem Duqqa, Ali al-Madani, Atta Muhammad Elayyan, Amjad Hmeid, Usama Abu Kweik and Kamel Darwish. The names of the following were identified among the injured, Wassim Daraghmeh, Aylin Daraghmeh, Bassel Asaad, Shihadeh al-Sinnawi, Muhammad Elayyan and Khalid Hijjawi. The ministry instructed the Palestinian ambassador to Australia, who is a non-resident ambassador to New Zealand, to follow up with the local authorities on the conditions of those injured. The Palestinian Authority ambassador to Australia and New Zealand Izzat Abdul-Hadi on Friday said that a number of Palestinians were killed and injured in the terror attack that targeted two mosques in Christchurch city in New Zealand. 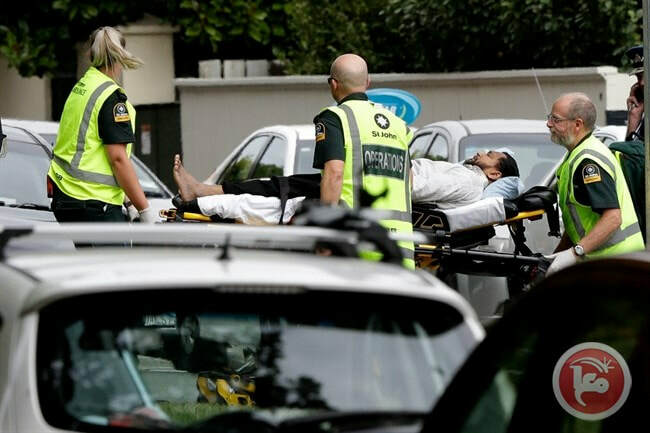 Abdul-Hadi said that the Palestinian community in New Zealand informed him that at least a Palestinian was killed and others injured in the attacks. He added that the Palestinian embassy is in contact with the competent authorities in New Zealand for more information. Wafa said that the New Zealand government has suspended all flights to Christchurch, adding that investigations into the attacks are ongoing, and the government will speak in details about the victims on Saturday morning. Abdul-Hadi extended condolences to the families of those killed in the terror attacks and wished speedy recovery for the wounded. 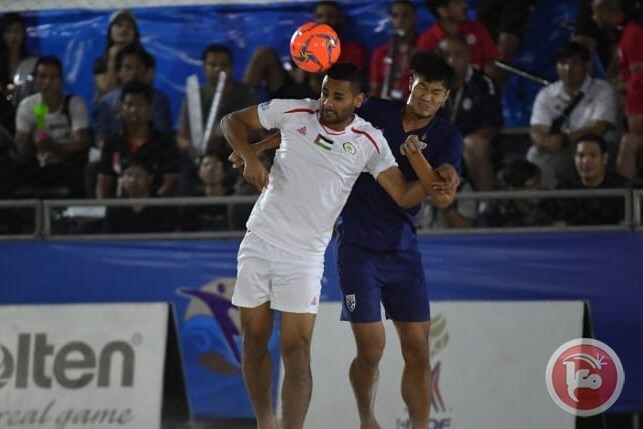 The national Palestinian beach soccer team was able to advance to the semi-finals in the Asian Football Confederation (AFC) Beach Soccer Championships, which kicked off in Pattaya, Thailand on March 7th, for the first time in history. Palestine defeated Lebanon 4 to 3 in the quarter-finals to play against Japan in the semi-finals. The winner of that game will advance to the finals. The championship also acts as the qualification tournament for Asian teams to the 2019 FIFA Beach Soccer World Cup in Paraguay; the best three teams will qualify. 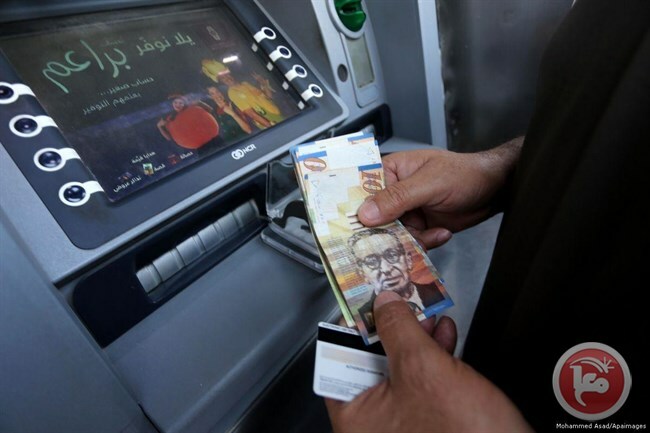 The Palestinian Minister of Finance, Shukri Bishara, said that the Palestinian government will be paying only 50% of the monthly payroll of the Palestinian civil servants for the month of February 2019, as a result of Israel’s decision to withhold tax revenues it collects on behalf of the Palestinian Authority (PA). During a joint press conference with the Minister of Information and the government’s spokesperson, Bishara said that employees whose salaries are below 2,000 shekels ($550) will receive a full salary for February 2019, however, the rest of the civil servants will receive 50% of their monthly salary for the same month. He also confirmed that the 50% will not be less than a minimum of 2,000 shekels.Bishara added that the government decided to freeze all recruitment and promotions of civil servants, as well as the purchase of real estate and vehicles during this time of crisis. In addition, leave allowances of civil servants and government officials will also be significantly downsized. In mid-February, Israel's security cabinet approved to withhold around 502,697,00 shekels ($138 million) in tax revenues which are collected on behalf of the PA and is the amount the PA pays as stipends to the families of Palestinians killed or imprisoned by Israel be deducted from the money Israel hands over to the PA.
Israel collects funds from imports into the West Bank and Gaza, in addition to other taxes, and forwards a large sum of it to the PA, after deduction of payments for water and electricity. The large sum makes up the largest part of the Palestinian government's budget. 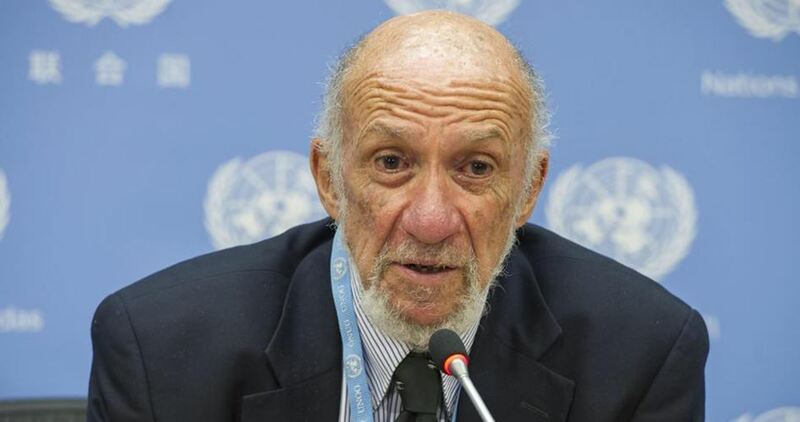 Richard Falk, former UN special rapporteur on human rights in Palestine, said that the Palestinians are victims of Israel’s discrimination and criminal acts. In press remarks, Falk affirmed that the Palestinians are isolated and exposed to apartheid policy on their native land. The former UN official stressed the importance of the Palestinian society’s role in building the future of Palestine, defending its human rights and facing daily suffering, adding that the future of Palestine depends on peaceful resistance.